Quiz: Test your Shakespeare knowledge! Quiz: Who said it: William Shakespeare, or a recent musical icon? Remix and Rediscover Your Love of Early Music! Early instruments, new music. For the first time in our history, The Toronto Consort presents a program of 20th- and 21st-century music written for early instruments and voice. Featuring Juno-nominated James Rolfe’s Breathe with text by Hildegard of Bingen, and David Fallis’ Eurydice Variations, the story Monteverdi’s Orfeo told from the point of view of Eurydice. 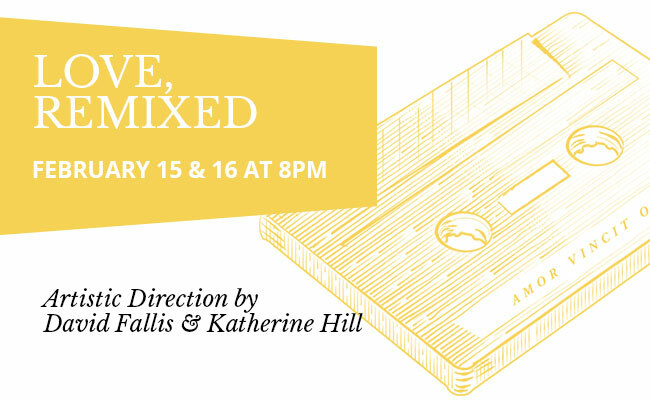 This Valentine’s Day weekend, join us as we reinterpret, remix and rediscover our love of Early Music. Join us for our free pre-concert chat: a Q&A with David Fallis, Katherine Hill and James Rolfe, hosted by Ben Grossman.